KATI offers comprehensive, wide-ranging measurements services that provide valuable additional information about the drilling target. As it is critical to identify the precise location of where a sample was taken in the bedrock, KATI provides deviation surveys, which help determine the true path and end point of the hole. Most of our measurements can be performed in connection with current drilling or into existing drill holes using magnetic and non-magnetic methods. KATI has a wide range of tools including Reflex Gyro, Devico Deviflex and SPT Northseeking Gyrotracer for the best possible accuracy. The tool traces the start of the hole’s azimuth for precise deviation tracking. 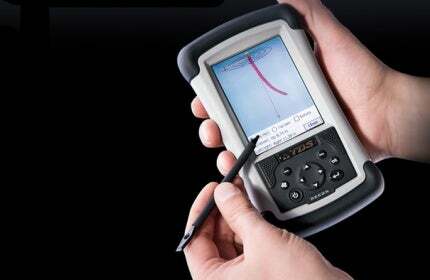 The SPT is particularly effective for branched and deep hole measuring. Boreholes can be branched in the desired direction from the main hole. We offer cost-effective branching services using the DeviDrillTM in co-operation with Devico As. Through this; the company is able to adjust to any deviations from the planned hole path during the drilling process. Surface measurements and water pressure tests are also available. In co-operation with our partner company Geovisor, we offer additional downhole geophysical measurements including but not limited to TEM, IP and borehole imaging.